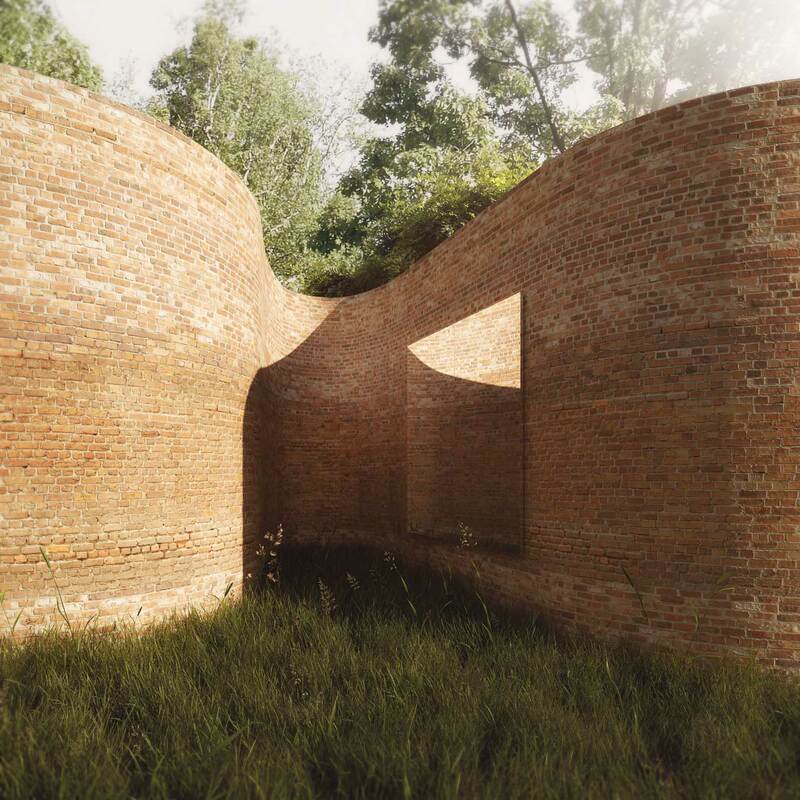 Sinuous curves aren’t usually associated with brick architecture, but when architecture merges almost seamlessly with garden walls, the boundaries are blurred. At “Madison House,” a fresh take on a traditional residential archetype produces a space that feels warm and organic. 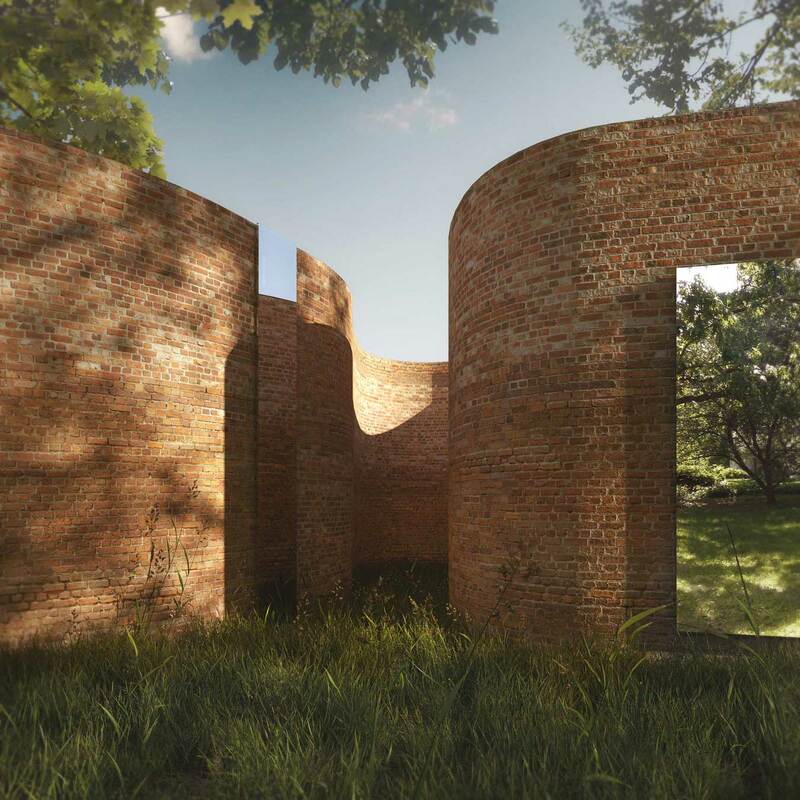 Basic brick walls meander around the grassy site, punctuated by mirrors that at first appear to actually puncture the surface, leading a casual viewer to imagine that the wall is all there is – a nearly two-dimensional curve without further form or structure. But this unusual house is proof that looks can be deceiving. Thomas Phifer & Partners designed the dwelling to be humble, an homage to the site’s history as a garden but also in deference to works by famous architects in the same Madison, Wisconsin, neighborhood. 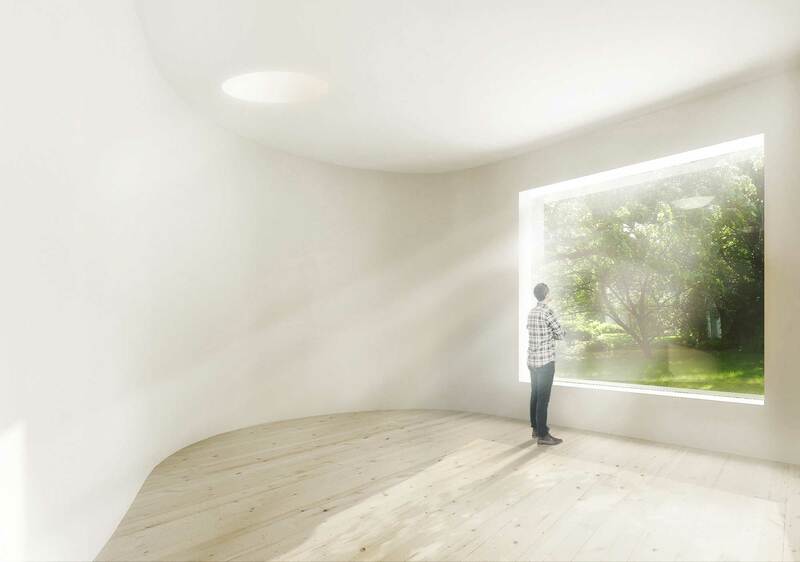 The frameless mirror windows create a wonderful illusion of depth and transparency, while, in reality, providing views out of the dwelling while maintaining privacy within. The plan is amorphous and organic, at once set apart from the homes in the area, but also blended into the natural curves of its immediate environment.